As seen by SART on Rue du Renard, Paris. 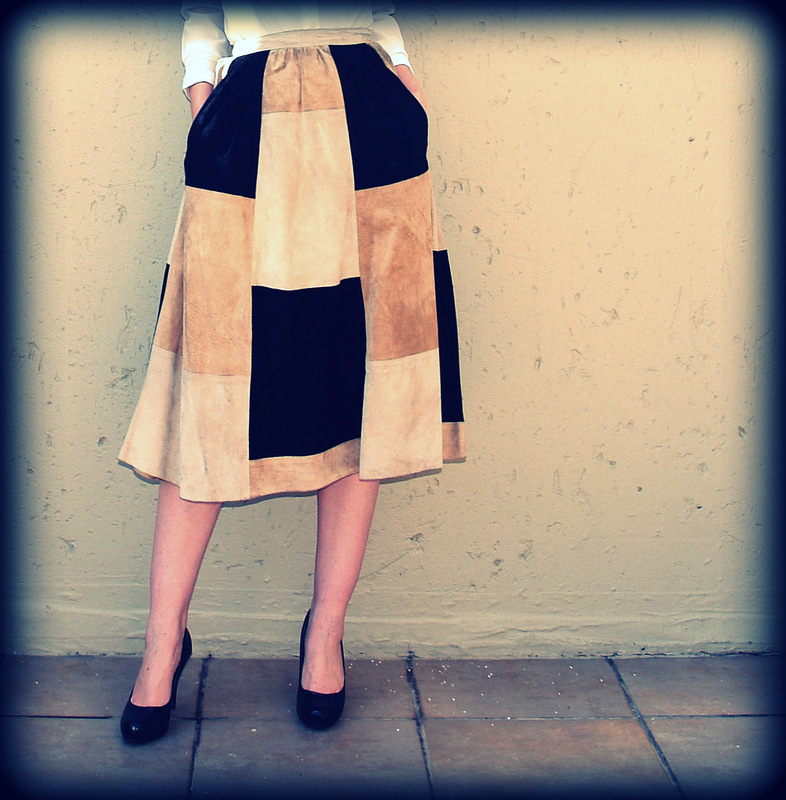 Love her leather patchwork skirt. Don't you? Here's a vintage one available on Etsy for $45USD - isn't it gorg? 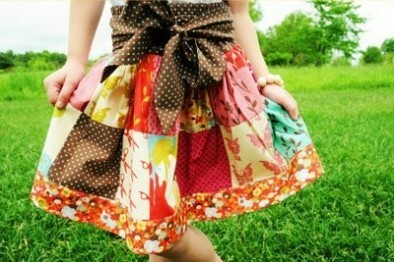 More patchwork skirts. (Images via Pinterest) Is this something you'd wear ladies, or only have on your bed at home?